You don't graduate from Bucknell University without being at least somewhat of a Hansons fan. My first exposure to the Hansons-Brooks Distance Project was in 2003, my freshman year, when I somehow managed to make the travel squad to a cross-country meet in Detroit (I have no idea how that happened...I sucked freshman year!). My coach, Kevin Donner, had previously coached Brian Sell at St. Francis University and took the opportunity to introduce him to our team. Additionally, one of my teammates, a fellow freshman, had run for Sterling Heights High School in Michigan, and had been coached by Kevin Hanson, one of the two founders and coaches of the Hansons team. Then, a few years later, my best friend and college running partner Molly Pritz was accepted to their program (to be fair, she's gotten a lot faster since college, and training with her post-collegiately often involved me getting dropped). At this point, anyone who ran for the Bison kind of becomes a Hansons fan be default. So when I heard that Hansons runner Sage Canaday was putting out a book about his experiences with the team, I ordered myself some reading material. In 2003, the big running book that everyone was reading was Chris Lear's Running with the Buffaloes, which tells the story of the 1998 University of Colorado cross-country team. What Running with the Buffaloes does for college cross-country, Canaday's Running for the Hansons does for professional running. Lear's influence is obvious, as Running for the Hansons opens with a short introduction of each member of the men's team, sticks to short chapters, includes plenty of quotes from team members, and is an easy and quick read. Also similar to Lear, Canaday manages to grab the reader's attention early, and does not let it go until the end of the book. I finished this book in a single night (and if I were 100% healthy and had an early speed workout this morning I would have been screwed). The lighthearted writing style and interesting stories keep the pages turning, and readers may find themselves saying that they're only going to read the next chapter before putting it down...over and over again. Sage Canaday is a Cornell University graduate and professional runner for the Hansons-Brooks Distance Project in Rochester, MI. He is a two-time Olympic Trials qualifier in the marathon, having qualified for the 2008 Trials at age 21 and again with a 2:16:50 for 2012. Canaday is the brains behind Vo2max Productions, a company that puts out videos promoting the sport of distance running, and the author of Running for the Hansons. 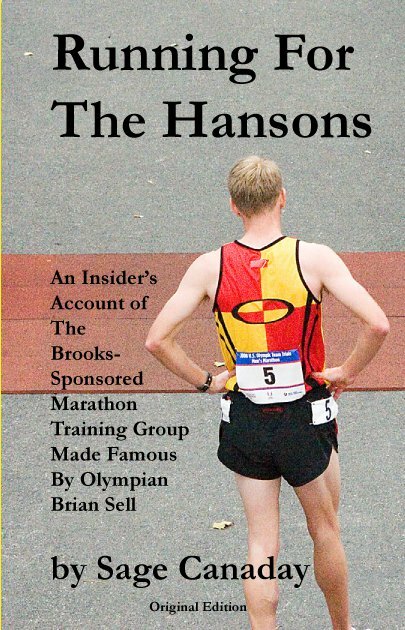 Running for the Hansons is Canaday's inside account of what it's like to run as a professional runner on an elite team. Canaday goes between speaking about his current experiences with the program and giving background information, whether it's about the area, the history of the program itself, details about other Hansons runners, or a humorous look at the customers that come into the Hansons Running Shop. There are stories to which every serious runner can relate, covering subjects including hanging on for dear life during workouts, trying desperately to hit a speed workout during a super high mileage week, dropping a deuce in the middle of a run, forgoing a beer the night before a workout, turning an easy run into a race with a teammate, and the crushing disappointment of a fantastic training cycle turned into a miserable race. However, at its core, this book is about an elite runner and his team, and there is no shortage of big mileage numbers and fast times. In this book, Canaday gives readers a look at the "secret" that makes Hansons athletes so successful...that is, that there is no secret at all, just hard work and lots of sacrifice. Running for the Hansons offers an inside look at the Hansons-Brooks Distance Project: the running, the lifestyle, and all of the ups and downs that accompany it. As a young runner who is new to the Hansons, Canaday takes on the perspective of the young "fat guy" who often feels out of place when running with the older, established guys on the team. This view allows Canaday to keep the tone humorous and light, and become a narrator to whom readers can relate, even if their race times are nowhere near Canaday's. However, despite this tone, Canaday is careful not to present the idea that elite running is all fun and games, and also includes chapters on disappointment and heartache, as well as the sacrifice the lifestyle entails. Additionally, Running for the Hansons includes plenty of extras, such as information on training (similar to what is seen on his blog) and Drew Polley's running log. Running for the Hansons is available in paperback on Sage Canaday's website, Vo2max Productions, for $14.95 (plus shipping). You can also request an autograph and dedication if you order through the website. Customer service is great and shipping is very prompt, and I actually received an email from Canaday shortly after ordering the book, apologizing that it was taking so long because he had to "track down Molly Pritz" as per my special instructions that I included with the order asking for Molly to draw a picture of the Hansons team (and seriously the day after I got that email, I got a text message from Molly telling her Sage stopped her immediately after her run and made her draw a picture on the inside cover of one of his books). The reason you should order from Sage's site rather than Amazon. Full disclosure: Nothing to disclose. I bought this book myself and have no affiliation with the Hansons or with Sage Canaday. I bought this book after reading your review. You should recieve some kind of commission. 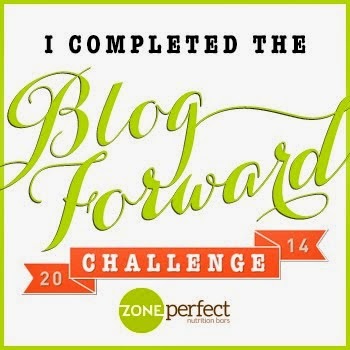 I loved reading it. It made me question whether or not I'm incorporating too many easy days into my schedule. It seemed as though the Hanson runners never ran above a low 6:00/mile pace for any of their runs. Also, the girl who signed my book will tell you that she doesn't believe you can run your easy days too easy. But as you saw, they're also running their hard days hard! Glad you enjoyed it...I definitely thought it was a good read!